The HEXAGON COMICS characters were originally published by France's 5th largest publishers of newstand comics, Editions Lug, established in 1950 in Lyon, which also licensed the publication of Marvel Comics in France. Our characters consistently sold in average 75% of what the Marvel characters sold. During the 1990s, Editions Lug was sold to SEMIC, which continued to publish the characters, some in modernized versions in 2000-03. 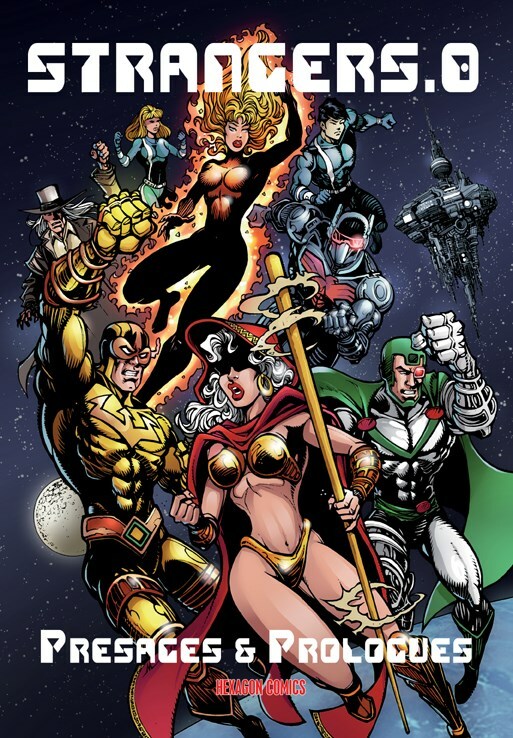 In 2004, after SEMIC's bankruptcy, the rights to the characters reverted to their creators, who banded together as HEXAGON COMICS to continue exploiting their creations. HEXAGON COMICS is a library of approximately 3000 comic books consisting of over 250 characters created and published over the past 50 years that have sold over 400 million units, in France, Italy, Spain, the Netherlands, Turkey and, through Image Comics and Black Coat Press, in the United States. 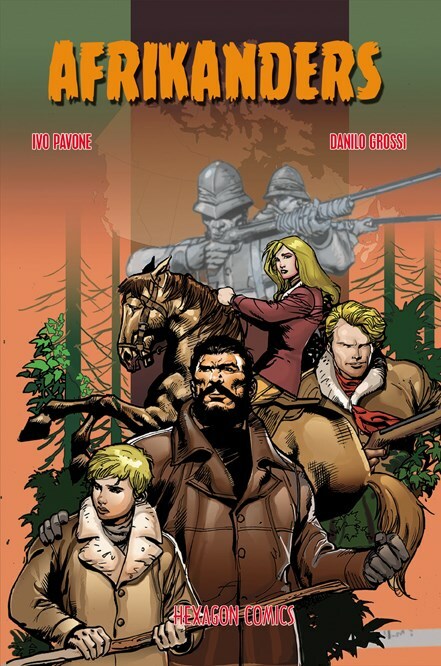 In 2010,Hexagon partnered with Riviere Blanche to relaunch an ambitious publishing program in France, involving both the reprint of classic stories in 500+-pages trade paperbacks, and two series of new color comics featuring all-new stories with our characters. More than 90 trade paperbacks, two dozen comics, four novelizations, a role-playing game and a set of trading cards have already been published. For the first quarter of the 1900s, the United States was the world’s leading producer of comics. European cartoonists were nation‑confined and did not achieve international recognition until the middle of the 20th century. By then, the universal popularity of comic books had opened unlimited opportunities. No longer was the newspaper the only platform for cartoonists. Comic books were being originated in every country and their publishers began to find international markets. Despite the emergence of great European talents, American talent, benefiting from America's "head‑start", managed to retain a position of preeminence. So creators like Jack Kirby, Lou Fine, Jack Cole, Harvey Kurtzman, and Stan Lee became standards against which all comics world wide were measured. In Europe there arose strong innovators who gained international acclaim and those artists who remained loyal to the conventions upon which the earlier comics depended. HEXAGON COMICS brings to America the work of creators from French and Italian studios that were published by Editions Lug, and who labored for decades to create popular series in the mold of their American counterparts. The HEXAGON UNIVERSE of characters is a library of over 250 comic book properties created over the past 60 years. There is no comparable library of comic book properties of this size and depth available in the world today.These characters encompass all genres and have been successfully established in Europe for well over five decades. Like the Marvel Comics and the DC Comics characters, the Hexagon characters exist in the same, integrated universe. That universe encompasses heroes from ancient times, such as the sword-wielding barbarian Kabur (portrayed above), pirates and corsairs such as Dragut, knights and soldiers who fought under Napoleon or in the British Raj, cow-boys and gunslingers, World War II heroes, superheroes of all kinds, and even a number of futuristic, space opera characters. There is now a book entitled HEXAGON COMICS: THE FIRST 70 YEARS! which offers a wonderful introduction to our universe of characters.